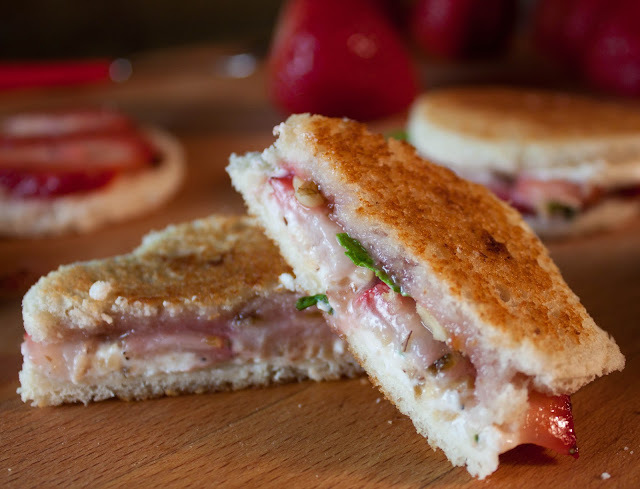 It's a fancy sandwich that that resembles a quesadilla and has all the makings of lip smacking and finger licking. Breathe easier knowing you have your party bases covered ... unless a Sox game is on at the same time! Fat and Happy Food Blog Tips and Techniques: Let the goat cheese come to room temperature for easier spreading. For a fancier looking sandwich/quesadilla, use cookie cutters to cut shapes out of the white bread. Begin by toasting the walnuts then crush them into smaller crumbs. 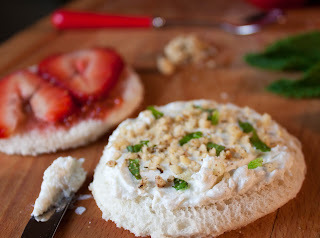 Slice the strawberries and mix the cheese as noted below while the walnuts are toasting. 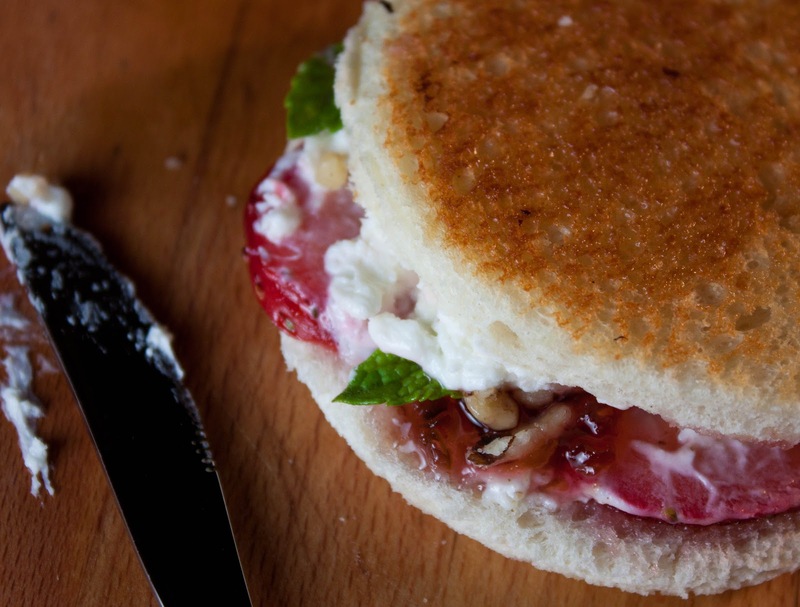 Assemble the sandwiches: Spread a spoon of the goat cheese mixture on one side of the bread. Tear up one medium sized mint leaf over the goat cheese and then sprinkle with a spoon of chopped walnuts. Dip the sliced strawberries in the Grand Marnier and lay on top of the goat cheese. Spread a spoon of the jalapeno jelly on the remaining bread slice and bring the two halves together. Repeat for each sandwich. Brush a hot griddle or large fry pan with butter. 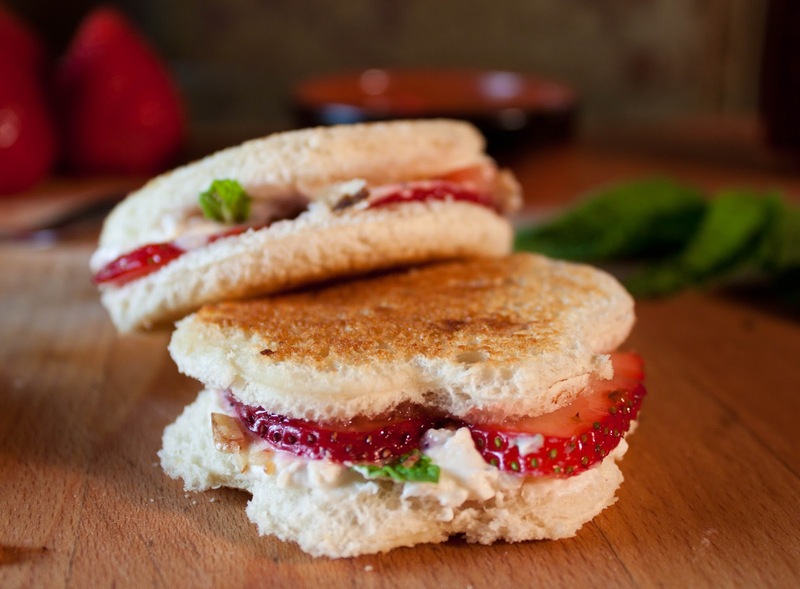 Place the sandwiches on the griddle and cook until lightly golden brown. Flip over and repeat on the second side. Enjoy while warm. Monique, this is the most out of control recipe I have seen, can't wait to make it!